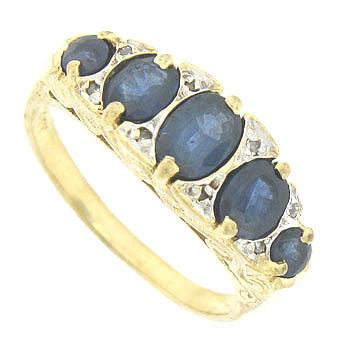 Deep blue sapphires press into the surface of this lovely 14K yellow gold estate ring. The center and side stones are oval cut, while the end stones are round cut. 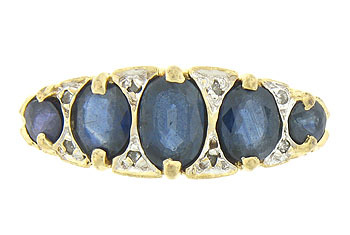 Pairs of fine faceted diamonds interrupt each glowing sapphire. 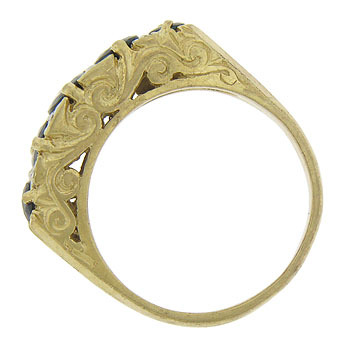 The sides of the ring are adorned with a spectacular organic engraving. 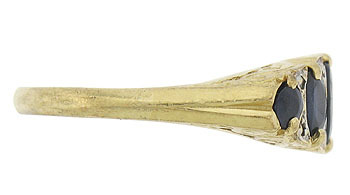 The ring measures 7.30 mm in width. Circa: 1940. Size 6 3/4. We can re-size slightly.